I tried this Tarla Dalal recipe, new for me, with hesitation. All cakes I have made or tried so far had either butter or oil. 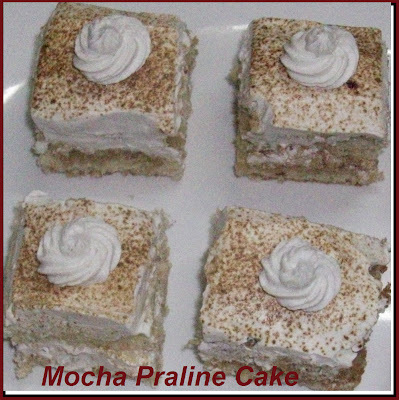 This recipe was a pleasant surprise to me as the cake came out very spongy and with a great texture too. Found it a little too sweet for my taste though. So less sugar next time.. This cake is made with only eggs, flour and sugar - no oil, no butter. Will definitely try this out again. Method: Pre heat oven to 200 degrees C. Sieve the flour, keep aside. Beat the eggs and sugar till very thick and double in quantity. Fold in the flour very gently with a metal spoon. Pour into a greased and dusted cake tin. Bake for 15 mins(Mine took about 5 mins more) till it passes the skewer test. Remove from the oven. Loosen sides with a sharp knife, invert over a wire rack. Cool and use as needed. I have found it quite a task to figure out where we can find some not-so-commonly used or known ingredients in Bangalore. This is an attempt to share some information I have gathered so that it can be useful to others. Please do share any relevant information you may have. Thanks to the information generously shared by my readers. I have updated the same here too. Your support is very much needed to grow the baking community. I am making an attempt to also link up other sites and blogs which can provide similar information for other Indian cities. If you have some information you can share or know of any site or blog which has similar information, please do guide us to it. Thank you for your contribution to the home-bakers community! Edible cake toppers: As in printouts of any image you mail them. You get a ready to use cake topper,just frost the cake and then zap!!! Isn't that cool!! Springform Tins I have never found these before, you bet I bought a 9" pan, am looking forward to bake in it. Variety of Sugar Craft flowers, leaves, a few cartoon character faces, glitter sugar, colored vermicelli(like chocolate vermicelli). Ready to use "Happy Birthday' edible topper. This would be great for the artistically challenged like me or when you are in a hurry, just warm the message and top on the frosting!! Egg less Concentrate: I have never found this before in any other store. Honestly I have no idea how to use it, but bought it any way. Acetate sheets: The kind strips used to give shape to desserts and mousses. Whipping Cream and Powder: Found whipping cream in 1 kg packs. Whipping cream powder available too, haven't tried this before, supposed to be good. Flower and leaf cutters, other tools used for crimping. Chocolate Chips, cake tins, piping bags, nozzles, muffin trays, chocolate molds, pastry brushes, spatulas, icing spatulas, food colors, pie tins and other regular baking stuff. Sparkling sugar, colored vermicelli: In different colors. Silicon Molds: In different shapes and regular small molds. Plunger Cutters: Used for fondant decorations. I have seen only leaf design and in sets of three, flower cutters also supposed to be available. Bench scrapers : Used for scraping the dough from the work surface while kneading bread dough. Meringue Powder or Egg white powder: For royal icing decorations, crystallized flowers. Parchment lined disposable mini loaf pans, brownie boxes. Make sure you carry cash as cards are not accepted. THEY DO HOME DELIVERY WITHIN BANGALORE BUT NEED THE ORDER TO BE PLACED WELL AHEAD. THEY ALSO COURIER WITHIN INDIA. PAYMENT MODE IS BANK TRANSFER. Normally stock 2 kg packets of whipping cream. I use Rich's non-diary topping. Nilgiris - Brigade Road is the best. You can try other outlets too. I know! The name of the store is Super Market!. Address is Ground Floor, 5th Avenue,183, Brigade Road.Phone: 25581248. Egg Replacer Orgran. This is gluten free as well.- Information courtesy, author of Curry Leaf. There are about 3-4 shops in the basement. Check at Adams, Shivajinagar too. Instant Yeast - You get a brand called Gloripan in 100 grams packs . Worth trying out. Demerara Sugar - 500 grams pack, very reasonably priced. Address is - PO Box 2016, #175/3, 1st Main Road, Seshadripuram, Land mark - Opp, HDFC Bank, Bangalore 560020, India. Tel : +91-80-2336 7878, 2336 0517 You can view their product list here. 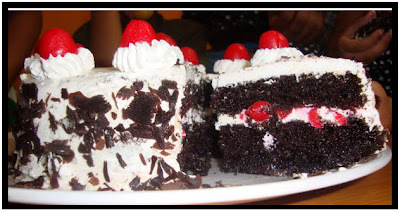 BAKING IN KOLKATA OR AROUND? PLEASE TAKE A LOOK AT SAYANTANI'S POST HERE. BAKING IN DELHI? YOU WILL FIND DEEBA RAJPAL'S POST HERE. BAKING IN MUMBAI? PLEASE REFER SHAHEEN'S POST. BAKING IN ERNAKULAM? - HERE IS DIVYA KUDUA'S POST FOR YOU! 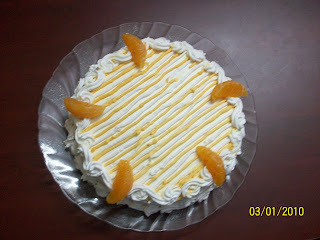 3. www.allrecipes.com - This site gives you the recipe for any variable quantity. Great for trying out small batches of cookies etc. And I won't have to strain my gray cells ,doing complex calculations:-)). Ate this famous Chinese dessert (mentioned as Honey Datsun with Ice Cream in the restaurant Menu) and got bowled over . 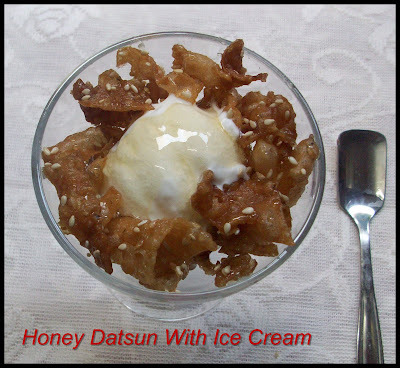 The combination of the nuttiness of the toasted sesame seeds, the ice cream and the crisp honeyed strips simply rocks! The best part is you can make the crispies and the honey sauce ahead of time and store. 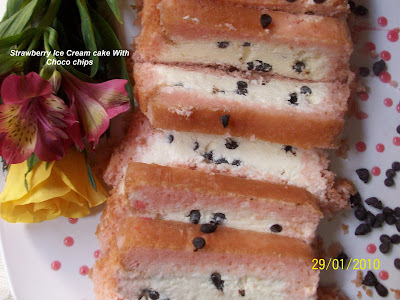 You will just need to put things together and you have a quick impressive dessert for your guests or a super treat for yourself on a lazy weekend. 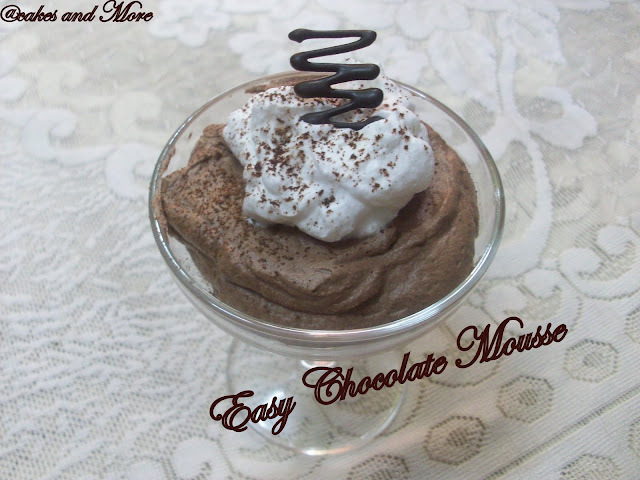 This may not be the real mousse - hence the name Mock Chocolate Mousse. This is part of a Tarla Dalal Dessert Recipe. Believe me, this elegant, easy, simple but tricky dessert can make a chocoholics day. 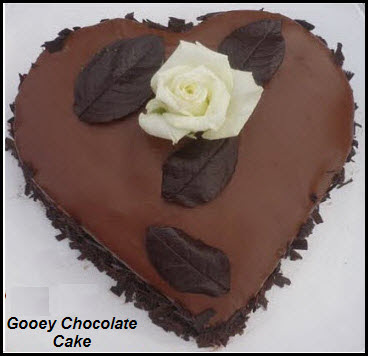 Try it out if you are looking for a chocolaty indulgence.